Six years ago I was in Atlanta for a Southern Public Education convention. Reverend Barbar was scheduled to speak at noon on the Sunday of the weekend conference. Unfortunately, I needed to return to Nashville that day and was going to be unable to hear him. At the time I wasn’t overly familiar with his work, but what I knew, intrigued me. As I was leaving the conference hall that Sunday, Dr. Barbar was arriving for his speech. We had one those special opportunities that fate often provides for us to exchange pleasantries in the lobby. The exchange only lasted about 5 minutes and I couldn’t recount a single word we shared. I do remember being taken by his grace and leaving our encounter inspired. Over the years I’ve followed his work and watched his videos on YouTube. Here was a man who lived his life in a way that I desired to emulate. He spoke the words that I believe all of us needed to hear. I could go on and list his lifetime accomplishments but y’all got Google, so I’ll leave it to you. Yesterday dawned, and Priscilla wanted to take the kids to participate in the MLK activities at Jefferson Street which dovetailed nicely into my desire to hear the Reverend speak at the ceremonies held at TSU at the end of the march. So off we went. It was cold out yesterday, but the sun was shining and the sense of community was palpable. People gathered at the Jefferson Street Missionary Baptist Church and marched to the Gentry Center on the Tennessee State University campus. The walk offered time for reflection and an opportunity to greet neighbors. I saw council members Fabian Bedne, Freddie O’Connell, Burkley Allen, Bob Mendes. School Board Members Sharon Gentry and Christiane Buggs, along with James Macklin, Vice Mayor Jim Schulman, State Senator Jeff Yarboro mingled through the crowd as well. Once inside the Gentry center there was even more time to mingle, greet old friends, and put names with faces for new ones. A highlight for me was when a woman proudly wearing her AKA clothing approached me and expressed her appreciation for my writings. I’m always humbled when people take a moment to acknowledge that they read my scribblings. The program began with speeches from politicians across the spectrum. Senator Jim Cooper seemed to have the best grasp on his role. His remarks were short, sweet, and quickly cleared the deck for the move towards Barbars turn. Governor Lee was next. It is significant to note that this was his first public address and he is the first sitting governor to visit the TSU celebration in over 30 years. For that, he deserves huge props. His speech was a bit wooden at times. I’m not sure I would have included the phrase, “what makes America great”, in my address and he mentioned the disproportionate number of blacks that are incarnated when he promised to create programs to ease inmates back into society without promising to reduce the number of those incarcerated. Mayor Briley was…well Mayor Briley…the only politician I know who works as hard at not getting elected as he does to keep the job. Claiming not to have come to brag about his administration’s accomplishments, he proceeded to brag about his administration’s accomplishments. He ended with an impassioned plea for Senator Cooper to go back to Washington and fight to end the government shutdown. He used his pulpit to publicly challenge the elected officials seated on stage to not just mouth the words of MLK but rather to put into action those words. At one point he asked the crowd to rise if they thought the government should fund a wall over expanding health coverage for all. Governor Lee was one of the few of those who did not rise. Later Barbar made it clear that he wasn’t focusing on Republican or Democrat but rather the moral vs the immoral. To Governor Lee’s credit, he never shrunk from Barbar’s words, remaining on stage throughout the fiery oratory. At one point answering the reverend’s call for a bottle of water by looking under his chair for one. At the end of the speech, when students were called up to represent, I figured Lee would use the cover to escape. But he didn’t, instead he remained until the end. He deserves major props for that. In contrast, Mayor Briley elected not to stay for the speech. His seat was noticeably empty throughout Barbar’s address. Also noticeably absent from the day’s events was Director of Schools Shawn Joseph. This was notable because of two editorials published over the weekend linking his hiring to the civil rights movement. One would think he would make it a priority to attend an event such as yesterdays, but alas apparently he had other priorities. The day was inspiring for me and I urge you to watch the videos made available by the Tennessean. Barbar is a once in a lifetime speaker who’s calls for action continually resonate with me and I am so grateful for the opportunity to hear him live. Thank you to all who made it possible. I continue to regularly hear from teacher’s and parents about the growing problems with discipline and how it’s affecting school outcomes. This year the district under Dr. Joseph’s leadership has identified the lowering of suspensions of black students as one of three primary KPI’s. Early in the year, they touted the decline in numbers as an indicator that things were improving. Wonderful, I’m obviously glad that we are suspending fewer students, but are fewer incidents taking place? That’s the number I want to see. MNPS focusing on corrective action versus offense is no different from the city of Nashville continually bragging about the decline in juvenile arrests while it seems every week we hear how another student has lost their lives to violence. It’s not the rate of punishment that should be our primary concern but rather the number of incidents and the degree of safety provided. With the increased focus on the response to an offense, I feel compelled to ask how many incidents go unreported because teachers and administrators are well aware of the response. So instead of reporting, you just deal with it internally. I suspect that a deep audit would reveal that this course of action happens more often than we would be comfortable with. This past week the district rolled out a new policy for middle and high schools. Going forward all expulsions would be reviewed by the Community Superintendents. Community Supes will have 5 days to review the expulsion and decide if it stands or not. It should be noted that this policy was tried upon Dr. Joseph’s arrival utilizing the executive principals – I refuse to use the term EDSSI because it’s just too unwieldy – and the EPs couldn’t keep up with the volume. So now we are going to assume that the CSs will? I can’t help but ask, what’s the point of having principals if we are going to continue to outsource their responsibilities? Do we really believe that the Community Supes have a higher level of understanding of the incident than the people who interact with the students every day? Lately, I’ve gotten emails from parents detailing how the lack of disciplinary control has negatively impacted the behavior of their own kids. Kid’s that once followed the rules and weren’t disruptive are now emulating their peers and taking on the bad behavior. I can’t say that I’m surprised to hear that, but what are we doing about it? There is still no plan to place a trauma specialist in every school. There is still no evidence that those kids not being suspended are getting the services they require. There is mounting evidence that district policy is doing more harm than good. Supporters of the policy continue to point to the numerous meetings that were held prior to enactment and the lack of pushback at those meetings. Two things I would point out here. The first is that there was a teacher cabinet put together to make a recommendation on what the policy change should look like. For whatever reason’s, that advisement was ignored and the administration proceeded with their own plan. Secondly, much of the feedback came through MNEA leadership. Leadership that according to board member Will Pinkston repeatedly has told him that any reports of problems are overblown. At this point, I think it is fair to openly question just whose interests MNEA leadership is representing. Luckily member’s will get the opportunity to do just at the end of this month. One week from tonight nominations for the Spring election cycle will be taken. Among the positions up for election are two seats per School Board district on the MNEA-PACE Committee. To be eligible you must be an active MNEA member and live in the School Board district that corresponds to the seat you seek. You may have someone nominate you at the RA next Monday, respond to this post with a simple “I’m interested”, or PM this page indicating your interest and the district in which you live (that information will be shared with the MNEA Nominations & Elections Chair). If you currently serve on the PACE Committee, you can do the same if you wish to run for your seat again. There are no term limits on MNEA-PACE. Per MNEA Election Guidelines, no one intending to run for any position may publicly campaign until after the adjournment of the meeting next Monday. I advise everyone to get involved if you can. To question leadership, but not their commitment to the union. Meanwhile, there needs to be a deeper and more honest conversation about the impact of MNPS’s current discipline policy. Before it’s too late.Though some would argue that it already is to late. A quick perusal shows a number of notable exclusions to the list. The district Executive Director of Priority Schools fresh off of a big promotion and raise is not on the list. The Mayor’s education advisor Indira Dammu is not on the list. Dr. Sharon Gentry whose district has the most priority schools and has since the list’s inception is on the list. Jai Sanders a parent instrumental in helping Inglewood get off the priority school list is not on the list. Neither of the principals who helped their schools, Pearl Cohn and Inglewood, exit the priority school list is included in the cabinet. Veshia Hawkins, an education blogger who ranks among the strongest advocates for priority schools citywide, not on the list. I love Jarred Amato, but it seems like every time one of these advisory boards are created, the first action is to call Amato, with the second action being to ignore his insight once he agrees to participate. The group’s three meetings will focus on the following: learning about state and district strategies to support Priority schools and identifying promising practices from other districts and across the country to support school improvement. The group will also be tasked with outside data review and reading to prep for each session. The work of the group will inform practices at all MNPS schools, where applicable. Um…perhaps the work could have been expedited if people who have already done their homework had been appointed? No offense to anyone who is on the list, but how is the director of a highly exclusive private school an expert on the needs of priority schools? Looking at the list, all I see is people who will most likely issue the same response. 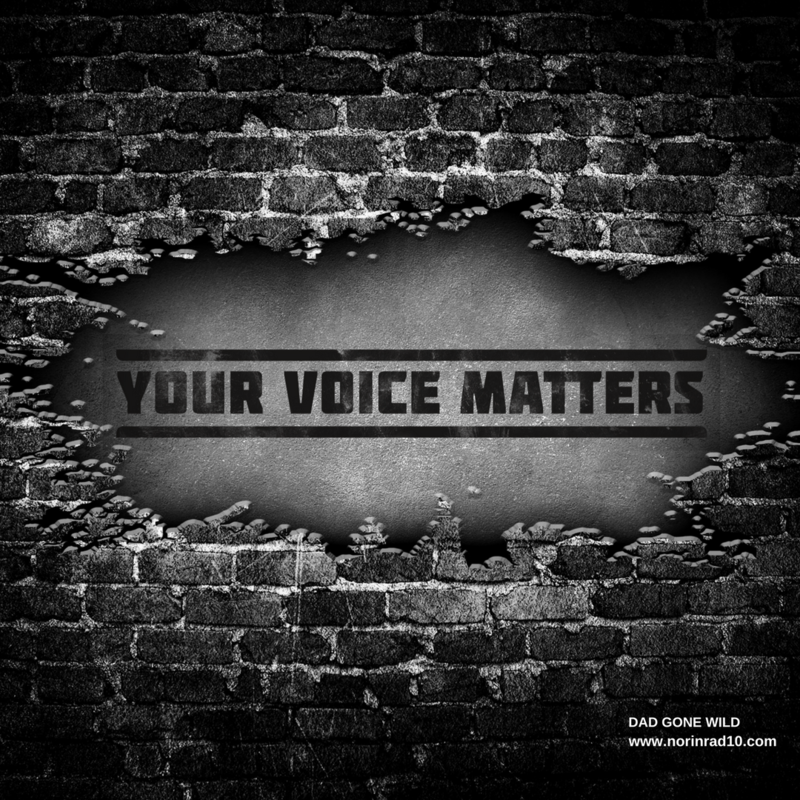 Where is the voice that will push for deeper examination and ask the hard questions that will result in truly meaningful policy? I suspect this cabinet is merely an exercise in giving cover to Dr. Joseph and the district’s lack of meaningful action towards priority schools. Look at us, we pulled together a focus group. You know that means we are serious. Outgoing State Commissioner of Education, Candice McQueen, before departing indicated a lack of satisfaction with MNPS’s reaction to the growth in the number of priority schools and new Commissioner, Penny Schwinn, has a history of dealing harshly with schools that fail to make adequate yearly progress, so I’m not convinced this is a viable action step. Someday maybe our actions will match our words and we will exhibit the level of commitment needed to reduce the number of priority schools, but I’m not seeing evidence that today is that day. Know a deserving high school senior? Let them know about the Nashville Sounds Foundation scholarship! Four $2,500 scholarships will be awarded to teens in the Nashville/Middle TN area. The deadline to apply is Feb. 15. On February 1st Stratford HS will host the first female conference during the school day. Dr. Shree Walker will be the keynote speaker. Several students will be presenting at the PIE conference with Dr. Steele on January 29th in Nashville. For the month of January, Bass Learning Center’s Project LIT Book Club students (and adults) engaged in reading and discussing A Long Walk to Water by Linda Sue Park. This book is based on a true story and told from the perspective of the character of overcoming hardships in life. A Long Walk to Water chronicles the refugee crisis in Sudan and follows a boy in 1985 and a girl in 2008, showing the struggles the country still faces today and how it impacts children and teenagers in particular. It will provide the opportunity for students to explore the lives of individuals very different from their own while also seeing similarities. There will be a book club gathering at the beginning of February to have a large group discussion about the book, a celebration for those students who completed reading, and a trivia game to test the group’s knowledge. All students have the opportunity to participate, and faculty, staff, and community members to join this celebration of literacy. It’s time to review the results from this weekends poll questions. Don’t know anything about her. Question two asked whether you thought it was a good idea for the MNPS School Board to seek mediation in order to overcome their issues. 40% of you said you didn’t see the point of pursuing such a course of action, while 19% said you’d just wait until the election and then vote them out. Only 7% of you indicated support for the idea. Here are the write-in votes. The last question asked for your feelings on the proposed lead in drinking water policy the board will vote on this week. I think it’s pretty safe to say that most of you think the threshold levels are too high. 48% of you wondered why we were even still having this conversation and 41% thought levels needed to be lowered to 5ppb and 10 ppb. All I can do is shake my head and question why it’s so hard to do the right thing. Here are the write-ins. Dear Lord! Read a recommendation enact a policy! Mnps shouldn’t get to make their own standards for anything. I have long thought that there is an odd martyrdom complex here and given the heavy focus on faith based concepts and education this would be expected. I cannot comment on the Plumber but his focus on vouchers in which to support said non-secular education is something I have true issues with. But then again I loathe charters as we have seen in LA what that means to extracting resources from schools and further contributing to more segregation in public education. As for the kitchen cabinet I don’t get it and don’t know why a man with a few months left at this point would bother it is up there with the listening tour of the last Governor with what 6 months left. To do what exactly? Lord Briley’s current editorial is a farce but then again most of the Tennessean is as well. And when the stack the deck with the same faces over and over it shows that little will be accomplished but the photo ops will be divine! I can see that with James Shaw and the Oversight board, the Mayor candidacy and next week Supreme Court Judge. There is something about setting up a good person for failure that is another part of this strange conundrum I find here. Again the Martyr complex? 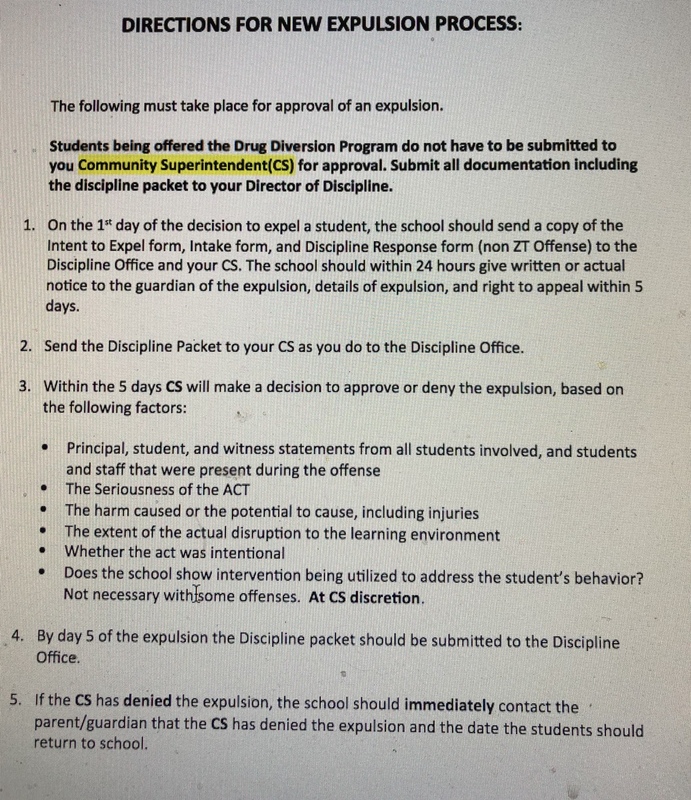 Then we have the irony that a district determined to stop expulsions and focus on alternative dispute resolution cannot handle disagreements between the Board and the Director goes to show that practice what you preach is not exactly on model here. The Dept of Education in the federal government offers such assistance and if not closed could do so and in turn also assist in ensuring that not only Teachers, Administrators but Students to be trained in the method of ADR. At this point who or how are schools getting the required training and knowledge in which to enact this? And why are not in High Schools and particularly alternative education schools being granted the opportunity to partake in this type of training to learn a skill set and offer this to their cohorts? I have spoken to an old colleague of mine and they are training kids in their school to learn some of these type of skills and gain ADR certification that will no doubt enable them beyond the classroom as they are all transferable skills in which to learn how to negotiate, find compromise and seek resolution. Good skills to have in life frankly. Mediation is a skill and should be used as a cost effective way to resolve disputes. Think about how almost all agreements we sign today make it mandatory over filing lawsuits. Clearly we have found that legal binding if not actually repressive but hey again we could use these people to perhaps solve the current problems we face in our federal government. Funny how the local Board seem to be determined to mirror that dysfunctional organization down to name calling and other nasty allegations. The Grown ups missing at the Mall this weekend are another example of how adults continue to fail children. Irony again as no one seems to learn anything and these are all people in the field of education. speaking of editorial farce, add to the list Fallon Willson’s piece pushed by the Tennessean. same old, tired arguments. he doesn’t even make it to the 3rd sentence before using the term ‘dog whistle’. It is why nothing is accomplished when it comes to progressive change. Lather.Rinse.Repeat. I can’t even. I left the district in December 2015, and even then the hoops we had to clear before one could even write an office referral on an incident meant that referrals were rarely written, even when warranted. (btw, They were always warranted.) This flawed policy/practice resulted in a dramatic increase in discipline issues in the classroom (one of the reasons I left), but also guaranteed MNPS the coveted decrease in referrals stat, which was the more important thing. The resultant classroom vibe was lots of crowd control and diminished actual teaching and learning, with a majority of students there ready to be serious and settle down for class, hijacked by those whose solitary mission it was to disrupt and derail. Pack 30 (give or take) high school kids in a small classroom, and it takes only four or five to create total chaos. Lucky you if there were only four or five whose sights were set on wrecking that hour of the day. And for the most part, these hours followed, one after the other, all day long, with every class change. Fairly nightmarish if you can’t count on support from admin, can’t write office referrals, and can count on only some parents for support (those kids won the parent lottery). I can’t even imagine the disintegration underway today, what with the leadership vacuum in the halls of central office. Well you could be a Teacher at Covington so things could be worse. But again today in the rag we call a newspaper has another garbage editorial about school choice. Let’s see how about choosing to go to a school close to your home, having the same resources and options available to all kids across the city with some variations as needed and determined by the community they serve and in turn for those who chose to not having available transportation and accommodation to facilitate and enable that. Such as extensive art or music or foreign language, perhaps focus on STEM or other curriculum that would enable resources to be centralized and better allocated and managed. But sure let’s pretend school is like going to the mall and looking for the best bargain. No kid should be commuting 45 minutes to an hour a day and what does that say about their community that the schools are not good enough, their home not good enough and therefore anyone stuck going there is not going to ever be good enough. Who gets these people to write these? It is just sad.Grim. Pathetic. This is now about race and this is what I now call the Starbucks moment. And yes the Plumber should be there and remain and so should have Lord Briley and again I find that utterly not surprising. It is however that the Director who is finding himself in a place that race is being used as a noun versus a verb would not be there is troubling. This was an opportunity to reach out to the community and demonstrate his solidarity and advocacy and not one he summons when needed. Lines drawn, cards tossed and this is now a stalemate where no one comes out unscathed. I don’t know why you didn’t “hear all this,” bc there were plenty of complaints, and teachers were plenty demoralized under his watch. It wasn’t for No Reason that jRegister chose not to pursue a contract extension with the district. So what you are saying, is that we have no way, no standard, by which we can hold this @MNPSDirector Shawn Joseph accountable. That’s a shame, bc the price being paid for circling the wagons around someone so unworthy is just way too high. I am a Northern Liberal which Dr. King opined on before his death and while the racism of our region was marred with inconsistency it came from a place of an attempt to resolve the issues by having massive conversations that of course can be noted by the bracelets, the pins, the T Shirts, the marches and the endless circle jerks that do little but mean well. My experience here is that direct confrontation is not welcome here and swept under the welcome mat as it is being drawn back into the house. That is the Nashville Way, the endless conundrum that marks the passive to the aggressive. So no nothing will be done and like all Supes that have come and gone they go after their term is up and that is the Broad way – disrupt, disturb, disband and depart. at what point would you no longer support joseph? does the entire section on newschannel5 investigates about metro schools not affect your support at all? what about the increase in priority schools? other points brought up on this blog? if there is no point at which you would not support him – why is that?